Are you new to our office? 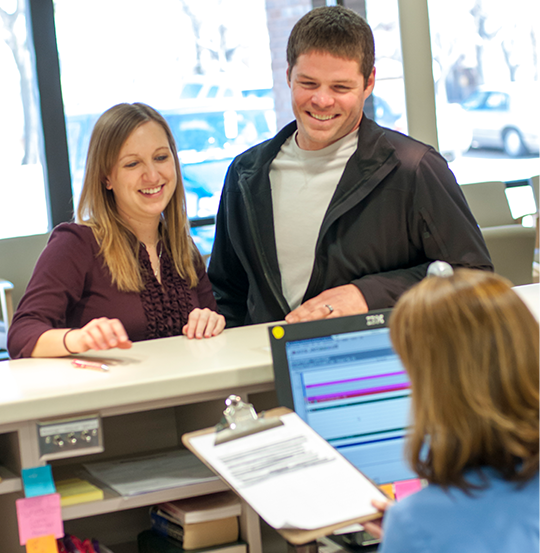 If so, let us first start by welcoming you to Siouxland Women’s Health Care PC. You are now joining a group of professional health care providers who specialize in treating women like you every day. Be sure to download the forms and complete them prior to your appointment. Please fax the forms to 712-252-2024 so that we can expedite your first visit registration. Please bring your driver’s license and insurance card(s) to your visit. Click here to read our complete Privacy Statement. All of your medical records are confidential and will be only released upon your written request. Please note that we cannot communicate or release medical information to family members (i.e., parents, husband) without written permission of the patient, unless the patient is a minor child. Click here to review our financial statement outlining our policies on how we bill for your services. If, at any time, you have any questions regarding your account, treatment fees, or insurance, please speak with our billing department.